Looking for a minimalist way to store your bicycle? Clug Clips may be the solution. 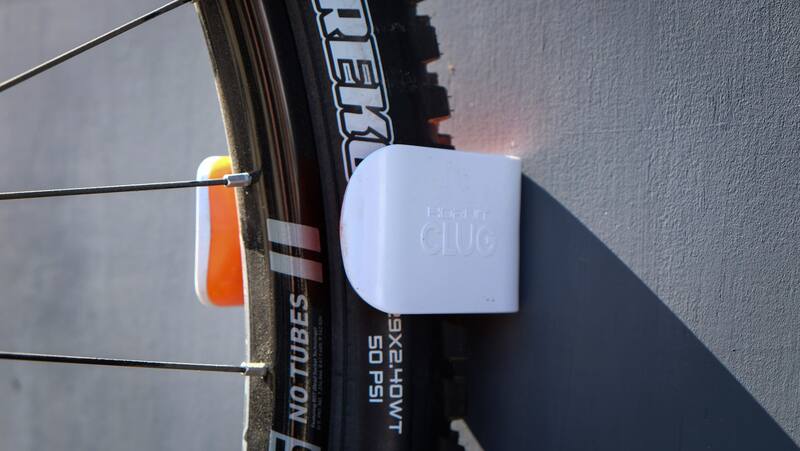 Clug’s Clips are a clever and compact way to store your bicycle. These plastic clips can hold bicycles vertically by the front tire or horizontally by the rear. Clug’s Clips are now available in five sizes to span tire widths from the traditional road to plus bikes. The Clips are constructed from high-strength plastic with a rubber insert that grips the tire. 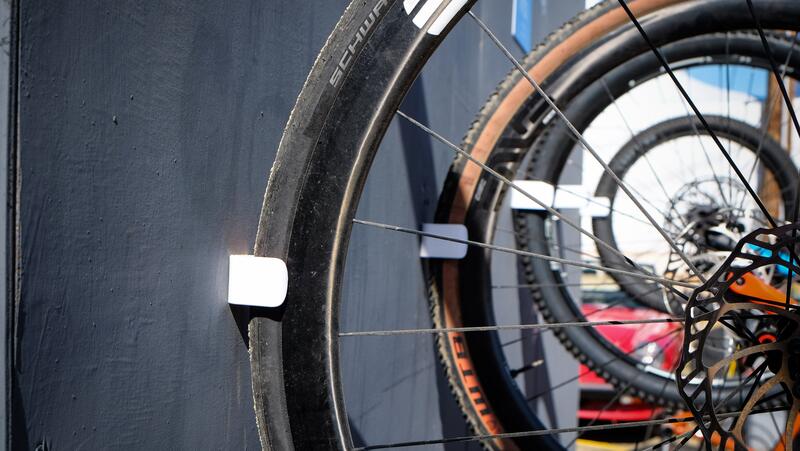 Unlike wheel hooks, this minimalist system won’t mar expensive carbon rims. When storing a bike vertically, the Clips do have to be positioned for a specific wheelbase, since the rear tire must rest on the ground. The Clips mount with a pair of screws, included with each Clip. 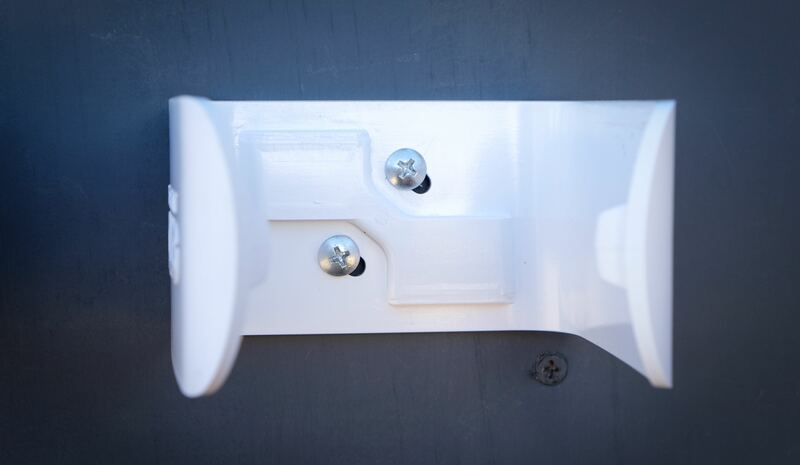 Each Clip comes with screws, drywall anchors and a mounting template to ease installation. 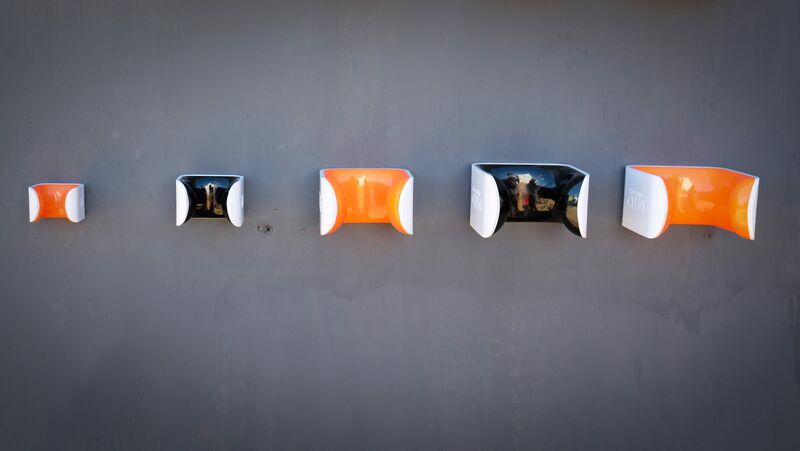 Unlike traditional wheel hooks, Clug’s Clips won’t mar expensive carbon rims or decals. Clug Clips for road, hybrids, gravel and mountain bikes retail for $20. The larger version for plus bikes sells for $25. Visit https://us.thehornit.com/getclug/ for more information.